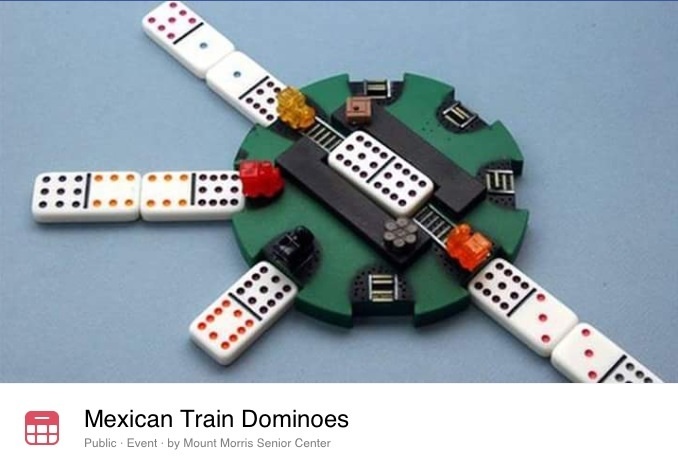 Mt.Morris Senior Center – Mexican Train Dominos Every Thursday thru 1/24/2019! Join us at the Mt. Morris Senior Center (9 East Front Street) to play Mexican Train Dominoes together! Don’t know how to play? We will teach you! Come on by!